Hey everyone! I haven’t done a project pan in so long, I’ve been using anything and everything in my collection since I got back from Peru in November and my products are piling up as a result. Which means… it’s time for another Spring Beauty Project Pan! I’ll be posting updates over the next two or three months to see what I can hit pan on and/or finish in that time. Let’s take a look at what products I’d like to pan this spring. What type of products do you find the hardest to finish? ,looks like you’re doing really well with many of them, already hit the pan on a bunch so if you use them often, you will definitely finish them up 😁 good luck!! I am trying to go through my bronzers and foundations right now! I have so many and just need to use them up or toss the really old ones! Yesss definitely not good to have expired makeup! it will mess up your skin! I’ve almosttt finished the bottom concealer from the master camo palette, and am working on wearing down the highlighter. I ended up not being able use the rest of the pans, so it’s getting chucked after those two. I found that too, I have no use for the yellow colour corrector and the lightest concealer is too light for me. I’m not sure how much use I’ll get out of it once I finish the pinky concealer. Finishing a product is surprisingly hard. I’m able to finish travel sized things, but I have no idea when I’ll ever finish a lot of my full-size products lol! Good luck with your pan project! Haha it really is, especially with powder products. It’s almost not worth it for me to buy full size anymore because it takes me so darn long to finish things! Thanks Angela! Such a great idea! Just the other day I was cleaning and realized how much makeup I have and how much of it I have hardly used! Hahah it’s so hard when brands put out new products that I want to try and I just keep accumulating more! 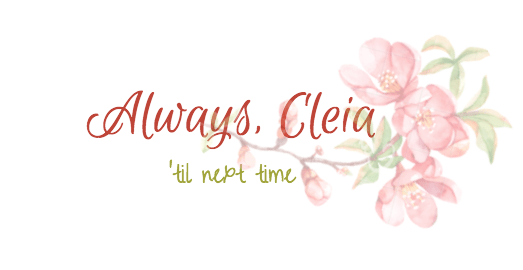 This is a really interesting series, Cleia! I personally can’t seem to finish lipsticks for some reason. I really need to stop buying new ones but it’s so challenging lol! 😂When it comes to eyeliner though, it always seems like I’m running out!! Lipsticks take forever to finish, I’ve only finished one once, and that was when it was the only lipstick I owned haha I always want new ones too! Oh no I hate when that happens! This is such a cool idea! 😊 I like that it encourages mindfulness when buying beauty products. I like that you have some minis in here – I have a drawer full of samples that I never get it using! Might have to steal this idea for my next Project Pan, haha. Good luck finishing up all of these products! I think I would get discouraged too quickly if I didn’t include some products that I knew I could finish. You should try it, it makes it feel like you’re making so much more progress!